Do you chase the wrong questions in exam? Are you aware of your strong and weak areas? Do you keep a track of your performance? Improve your score by 21% with each test. The best analyzer of our mock test performance! The best thing about Testzone is its Superior content, best after test mock analysis and inclusion of Surprise Tests that helped me get accustomed to scoring even when pattern of questions changes. Hats off to Testzone! The best Test Series for Bank PO exams not only from qualitative point of view but also from reasonable price point of view. I am thankful to my friend that he suggested me Testzone to me and today I am happy that I am going to face SBI PO 2017 GD and Interview round. Testzone is the best learning platform you'll find online. I owe my success in SBI PO Pre and Mains to Testzone only. The questions are right up to the level and perhaps a bit more, making the actual exam seem easier. Graphs that show your performance against yourself and the topper. Your weaknesses and strengths. Time distribution. You name it, they got it. Testzone is unparalleled. No words for Testzone. It is actually what I needed. Quality of questions and even better quality of solutions. Never seen been kind of analysis, smart user interface that helped me overcome my weakness of getting stuck to difficult questions. The best test series for Bank exams indeed. Having attempted almost all the other test series available online, I am qualified to share that I give the highest marks to Testzone by Smartkeeda. From the start of a test to clearing of doubts, this test series tops the chart. In fact, today I realized how an actual Test Series should be. Among all the bombardment of different prices for different test series plans, Testzone came to my rescue. It’s mind boggling how you are offering such quality content at such low price! Before Mains I was a bit skeptical about clearing this crucial round but your neatly designed surprise tests or surprise questions really helped me get into the habit of SBI PO pattern. Plus, the one to one session I received right before the exam helped me maintain my accuracy and finally cracked the SBI PO Mains. Great work done by team Smartkeeda and team Testzone! Dear Smartkeeda Team! 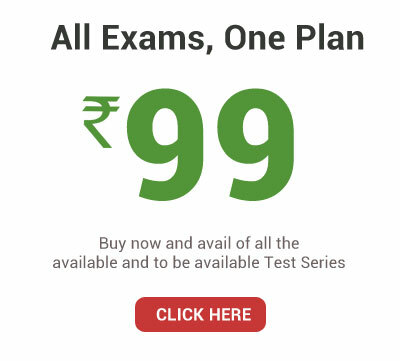 Truly your mocks are top class with low price and high quality, specially Gk and Banking Awareness section in tests. I remember every question is a gem and very important which I couldn't find anywhere during my preparation. In my two years of preparation I marginally missed IBPS PO(twice) and SBI PO in final selection.Your Testzone mocks are perfectly updated and as per the latest pattern which aspirants face in real exams.I remember almost 65% of Gk questions came from your mocks.In IDBI Assistant Manager Grade Aexam which I cracked is mainly because of Gk questions I studied from Smartkeeda and Testzone mocks which played a major role in my selection.Once again, I thank everyone of teamSmartkeeda.As a token of my kindness to Smartkeeda, I am recommending Testzone mocks to every friend of mine who is calling me to know my preparation strategy. My name is Priyesh and I have cleared IBPS PO Mains 2017 and now posted as PO in Canara Bank. I have given mocks from various other platforms but the most beneficial and effective were Smartkeeda’sTestzoneTest Series.The level of questions was up to the mark with that of IBPS PO exam and man GA questions which were in mock tests were also there in the real examination. The difficulty level of each section was same as that of Testzone. The pattern of English was exactly the same in examination as it was in mock. In one sentence, it is the best in the market if it comes to Banking exams. Although I was working, all my expenses were fully packed and couldn’t contribute for already available expensive Test Series series. There, I got to know about Testzone, an affordable and best analytical platform for aspirants giving a year full of tests for INR 99. Without much thought I bought the series and attempted mocks. I felt it very hard to solve questions but gradually I felt I was improving and the questions were up to the level of PO I must say. As per me they provide mocks based on the latest trends which intrinsically helped me to excel. I took IBPS PO Prelims (55 attempts – 45.25 Marks), IBPS PO Mains (84 attempts - 82.63 Marks), Final - 44.78 out of 100 and I got Canara Bank. Testzone, with its effective analytical charts, and graphs helped me achieve this paramount. All the best to all! I'm feeling glad to inform you that I've selected for Bank of India Clerical Post. I'm really thankful to TestzoneTest Series. This is one of the best Test Series which I've used. Analysis part is best.Even some of the testseries GA questions were asked in mains exam.I'm recommending it to many students now. Thanks a lot! It’s indeed a great privilege for me and I truly deserve to share the testimonial on behalf of the website ‘Smartkeeda’ for Bank or any competitive exam preparations. I am very delighted announce that Smartkeeda’sTestzone Test Series is the one that helped me crack RRB PO Mains 2018. It gives a series of challenging mock test questions which make a user think beyond expectations and let anyone be prepared for surprises during the real exam. It made me wondered to see the detailed explanations and solving method given in Testzone mocks. I would recommend each aspirant who is preparing for the exams to avail themselves of this fabulous Test Series platform. This site is worth every bit of it! After taking almost 20-25 exams, I finally tasted success. I am glad to share that I have cleared IBPS RRB Officer Scale 1 Mains exam this year and after my parents, teachers and friends the credit goes to Testzone. This Test Series is a must have if you are a serious banking job aspirant. The most important aspect of the Test Series at Testzone is the variance in tests and the analysis with excellent explanation. The analysis helped me a lot with my weak topics and I could focus more on those topics and could monitor my performance overtime through the overall performance graphs. Truly speaking, Testzone has been way beyond my expectations. Kudos to the Tz team! As I have qualified for the interview round after clearing RRB PO Mains recently, I guess I am qualified to share my feedback on Testzone. Though I have never been into the habit of attempt many mocks (as I found most of them over-hyped and irrelevant keeping the actual level of difficulty of real exam in mind) I found Testzone mocks the most balanced ones. The inclusion of all three types – easy, moderate and difficult keeps us familiar with all three scenarios at best. However, I attempted only the easy and moderate ones during my preparation. :PSecond best thing I liked about Testzone is that the team has been very responsive whenever I raised a genuine doubt about a question and got the answer to my satisfaction, almost always. Please keep up the good work!